So here I start over after learning on my use of pepakura and some clay. Sadly the clay I have is a sulfur based clay and will need to be sealed before I can pull a mold. Please research the clay you plan to use if you do this and get a clay that is not sulfur based as a silicone mold will not sure properly unless the cay gets sealed. So this is what I have started with. a dowel rod that fits into the head opening. a piece of plywood as a base. I made a stand from the plywood and the down rod to support the head while I apply clay and sculpt. Added another 4 lbs of clay to the model today. Roughing in some of the shape as I need to get some idea of where to build up. Eight lbs of clay total on it. Pretty sure it will take about 8 more to get the entire thing completed. I am pretty sure I will need to add some width and height to it. I am thinking more height to the top and forehead area. But till I have atleast laid the back of the head I am not going to jump to adding height. I can see witch is needed as neither side is symmetrical just yet. Since I am a novice at sculpting this will be slow and a good bit of trial and error on stuff. I may add or pull too much away as I go along. Thank god it is clay and can be added back to the areas. have you tried using a paddle? they help a whole bunch moving around the clay to where you want it!! I'm so much afraid to do sculpt like this ! But I like to follow the improvements! Your progress so far looks good. You have learned from past experience. I've heard bad things about not being ever able to seal sulfur based clay well enough to do a silicone mold. However, a trick my old mentor had, was making the two piece mold right on the finished sculpture, using fiberglass resin and cloth. Once the fiberglass mold was bolted back together, Carnuba car wax was used as a release agent, and to fill in the seam between the halves of the mold. Then Gelcoat cast inside the mold to make the first outer layer of the shell. Silicone is expensive. Fiberglass not so much. Post was edited 1 time, last by “lzzrdgrrl” ( Dec 6th 2016, 4:46pm ). So this is my 3rd attempt only because I took some advice from Neko Nico. To save on an amount of clay I built up a base over the foam head useing foam insulation board that I sectioned up and got glued into place. I got about all the area I want now covered in clay and have started to add some shape into it. There is a need for more clay but this is much better on the amount than what I was looking at useing. I realize I got a lot of shaping to do but I feel I am at a good place with it at this point. I've again taken to my favorite tool to illustrate some movements in the sculpt. To give the hair more volume, trying to keep the gentle curve that's so important. soften the transition curve from the jaw line to the cheek and back into the eye socket. All in all?? Number 3 in less than 6 months?? You're doing good!!!! I feel I am making the same mistakes a bit. Honestly this attempt is limited. It needs more clay right now. While I am trying to shape a bit I know I am really limited as there is not much depth to the clay right now. I have in some places the foam about to poke out of the clay. I am struggling with the cheeks to be honest. I am sure my lack of sculpting skills is part of my issue. Well it is balanced better! Still you'll need to refine and build up the bulk by at least an inch. You're creating a flat face? Is that your intention or will you be adding to the profile?? planning to add to the profile. Sadly I feel I am loosing my way some right now. it will keep you focused on the sculpt! so been doing some reworking. I got a shape I was pretty happy with. so spent some time after that working on just balancing the rough shape. Once I got done with balancing I then followed some advice I have and began figuring out the cheeks, nose, and eye socket areas. no I realize I have a hard line on the cheeks I do not like and will begin to work those away some, but I still need to work on the transitions from the cheeks to eyes areas some too. 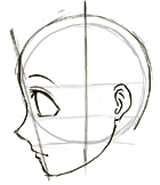 This is the hardest part for me as I want softer lines and I tend to happen towards harsh lines. sometimes 3 times IS a charm!! 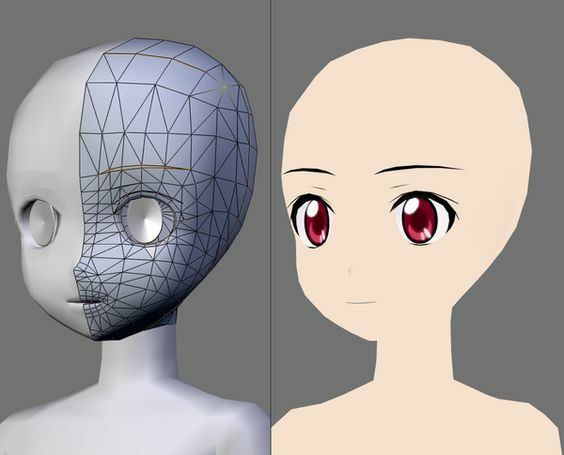 A way to use Pepakura to attempt a Kig Mask.